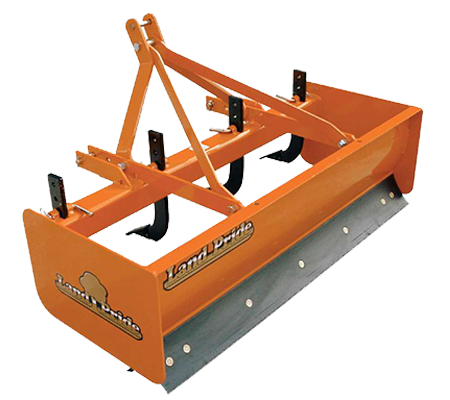 Land Pride’s BB15 and BB25 Series Fixed Bar Box Scrapers are ideal for ripping, levelling, finish grading, and backfilling applications at feedlots, outdoor arenas, and construction sites, or for maintenance operations on lanes or road- ways. Each model offers five different working widths to choose from. The roll-formed moldboard keeps materials owing putting less drag on the Box Scraper, resulting in lower HP requirements and faster working conditions. The rear-mounted blade allows for backfilling trenches or along foundations.